After a tiring stroll in the mall, my friend and I decided to have our coffee and dessert before we go. 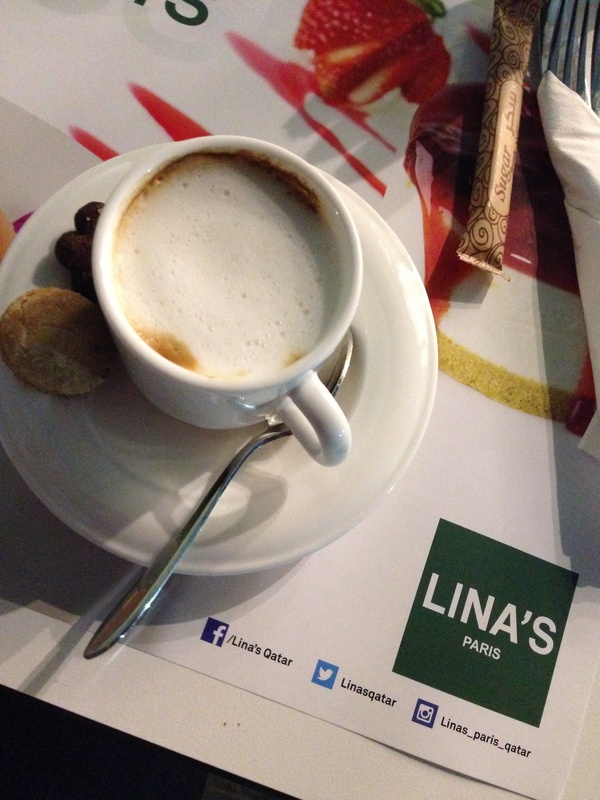 We decided to end our day at Lina’s. 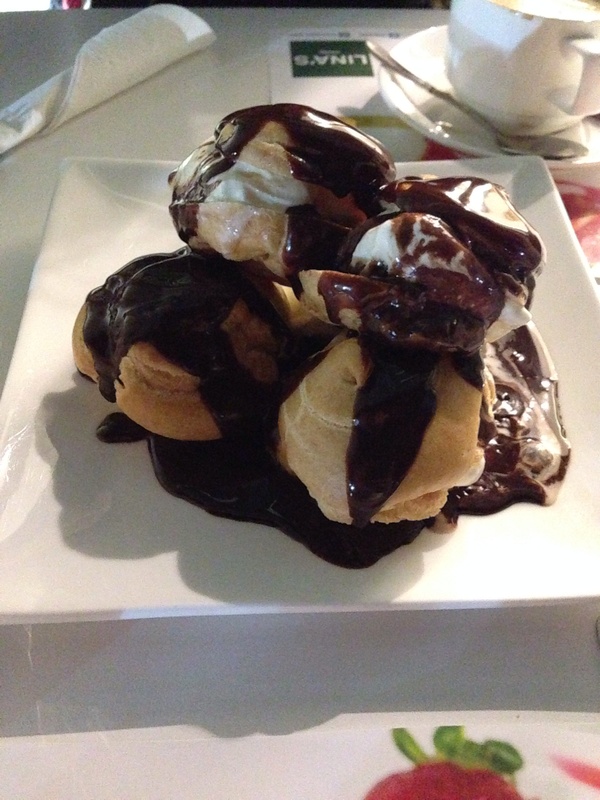 We didn’t get to try any of their food except for their coffee and profiteroles. Let me tell you, it’s the best coffee that I’ve had in Qatar so far. Boy, they do know how to brew. Cappuccino and macchiato – amazing! You can taste a hint of caramel and earthiness in the coffee. Profiteroles with vanilla ice cream filling and chocolate sauce – the serving is good for two people (or one if you’re feeling selfish). It was served to us and we immediately fell in love with it. The chocolate used seems a lot but most probably they used semi-sweet chocolate since it didn’t add that much sweetness to the puff and ice cream. Which was great because every item on the plate complimented each other. Their staff are well-dressed and very accommodating, to think that we came at 11:00PM and they were about to close in 30 minutes. They showed no snootiness or irritation which actually made us feel guilty for coming late.